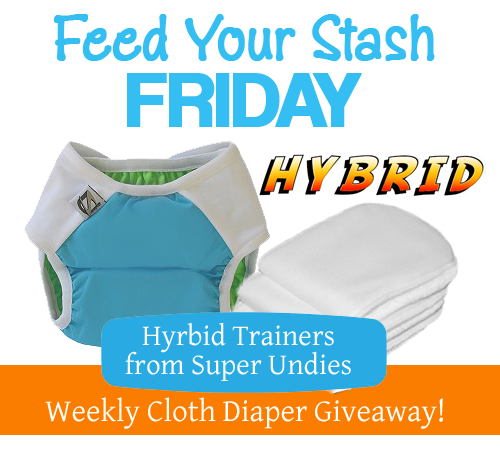 07/31/15 FYSF, Win a Super Undies Hybrid Potty Training Kit! Have you started thinking about when it will be time to transition from cloth diapers to cloth trainers? This week's giveaway features our Super Undies Hybrid Potty Training Kit, the perfect potty training solution! Cloth Training Pants, What are your options? Grab a second look at one of the newest product lines to stock the shelves here at Diaper Junction, Super Undies! What better way to get to know the product then to check out video reviews from youtube. Video reviews allow you to see and hear how Super Undies work, straight from families who've used them! 08/02/13 FYSF, Win a Super Undies Trainer of your choice! 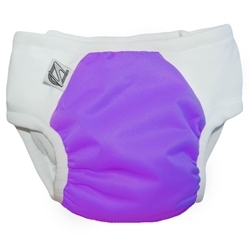 New to Diaper Junction are Super Undies! They're great quality, easy to use reusable training pants that your little one is sure to love. They function just like real undies and make the transition from diaper to underwear really easy. Enter to win a Super Undies trainer of your choice in today's FYSF giveaway! I don't know about you, but I'm sort of a pack rat. I keep things "just-in-case" and also for sentimental reasons. Over the years (and I do mean years) I'll slowly and repeatedly weed through old boxes and thin out stuff I no longer need or stuff I finally decide I can part with, but I never really get rid of all of it. Public restrooms disgust me, so potty training boys seemed like it would be an easy and awesome feat. But what happens when you realize that they think it's ok to pee on the playground, at a birthday party or off your front doorstep? Interested in learning more about the Flip Trainer? Then you've come to the right place! Read all about the Flip Trainer, who manufactures it, how it works and why you should try it when you're potty training your toddler. Just because you are potty training your baby doesn’t mean that you are stuck with disposable training pants or a headache for your baby. If you are a cloth diaper user, you can use cloth trainers made by a company under Cotton Babies. These Flip trainers are very innovative and very high quality as well. Training Pants, What are your options? My daughter is two years old now! It feels like moments ago that I held her for the first time and looked into her beautiful blue eyes. It feels like just yesterday that she was a newborn and it almost felt that she would stay that way forever! But now, now our precious Bunny is a little girl. Shes no longer a baby, and not even really a toddler anymore. Shes a little girl capable of complex sentences and hilarious conversations. She is also capable of going pee pee and poopy on the pottythough she has yet to do so eagerly or of her own free will. Becca's Potty Training Necessities, What are yours? 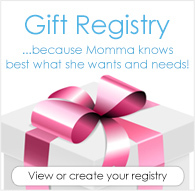 Heading into the potty training stage? Read all about what you can expect and suggestions that will make potty training so much easier on you and your little one. Get excited about Potty Training! Potty Training? Not yet? Well now you have something to look forward to. Many of your favorite cloth diaper manufacturers, companies who previously only made cloth diapers, have heard your cries and are releasing their own cloth training pants! We know you're just going to love these new products. Now you don't have to be so sad about your little one potty training because they'll have cute cloth trainers that they can move right into. Elimation Communication, Clean less mess! Just prior to the birth of my first daughter, friends of mine asked if we were planning on using disposable diapers, cloth diapers or no diapers. My wife and I already planned on using cloth diapers. But what in the world was this last option: no diapers? I was intrigued. After some research, I discovered what this “no diapers,” otherwise known as Elimination Communication (EC), is all about. Now, just about two years later, I am all about EC. Why? My amazing little girl suddenly exploded into speech at about 13 months old. 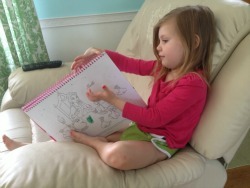 With this new ability to express what she wants and needs, everyone in our family is very excited. “Up!” “Down!” and “Nurse!” are some of her favorites, but the list has just grown and grown since then. At 16 months old, she can ask for just about anything she wants. She’s still using mostly just one word at a time, but there really isn’t much of anything she won’t say. I love being able to say, “Sweetheart, use your words,” when she starts to whine or cry because she wants something and then to watch her face light up as she searches for the word that will best express her current desire.